Improve your first person shooter multiplayer gameplay! The FPS gamer community has been supplied with many high quality games over the recent years. 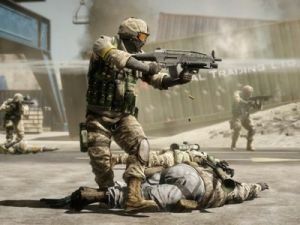 Games like Battlefield 3 and the Call of Duty: Modern Warfare and Black Ops series as well as the Halo franchise have attracted millions of gamers to online multiplayer gaming. Many gamers have much to learn about online fps strategy and tactics though, even many "high ranked" players. Modern games are designed to hook gamers in the sense that there is a seemingly endless supply of medals, ranks, weapons, pins, perks, etc to unlock. Hence it is possible to climb the ladders and reach high ranks just by playing. However, playing online for hundreds of hours and getting a lot of experience points is not the same as gaining SKILL and learning about strategy and tactics. This site presents tactics and strategy elements that can be implemented in any online first person shooter (and some third person shooters as well). Gamers who play online should regularly seek new tips and guides to improve their online multiplayer gameplay. That is how skill grows. Many strategies and tactics presented on this site are (or at least should be) common sense to veteran FPS gamers. Think about that for a moment. Do you REALLY play accordingly? The mature gamer realizes that there is no end to learning. The strategies, tactics and tips presented on this site is useful information for both gamers who are new to FPS games as well gamers who have invested hundreds of hours in online FPS games. Self-criticism is great. Identify your weaknesses and implement counter measures to improve. Novice gamers should head to the Be a Winner page first. Progressing Intermediate players are expected to understand the tips presented on that page. They should instead dig into the FPS Tactics page. However, reading through both pages won't hurt anyone. If you are looking for specific Battlefield 3 tips and tactics head to the Battlefield 3 page. The online FPS gaming community is dominated by males, there is no doubt about it. However, many females play these games and of course do it just as well as males. Online multiplayer gaming is a perfect arena for both "sides" to compete TOGETHER as skill and team play capability are the only things that matter. If you prefer not to use the headset (see the Communication section on the FPS Tactics page) try to find gamers to play and communicate with in game site forums or via dedicated female game sites. See the Links page for suggestions. Any comments related to the content on this website are much appreciated. Please provide feedback below. For instance give a comment if you are missing a particular topic that should be addressed or explained. Thanks! 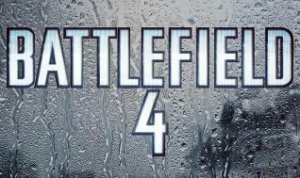 Swedish Battlefield 4 clan (PS4) soon recruiting! Sweden Special Forces, one of the most successful swedish Battlefield 3 clans on PS3 will soon start recruiting for competitive Battlefield 4 gaming on PS4. Several of our members were part of the national team in Battlefield 3. We are looking for the best of the best, very skilled players who are fluent in swedish! The purpose of this site is to provide useful tips for tactics and strategies that you can implement in your gameplay when playing first person shooters online. The concepts presented are general and hence can be used in most if not all online FPS games. The concepts are presented with co-operative matches like team death match and objective team matches in mind. However, many ideas are applicable in free for all (lone wolf) matches as well. Not every aspect of gaming is dead serious competitive online FPS gaming! Luckily, there are lots of arcade games to play casually just for the fun of it. Mix your gaming to get a balance that fits with your ambition level and life style. Relax regularly to peak your performance when needed. © 2011 Fpstactics.n.nu. All Rights Reserved.